Smackdown Live was enjoyable this week. SmackDown Live is the best main roster show without a shadow of a doubt, as Raw once again proved last night why it is lacking a bit these days. This week the blue brand produced a great broadcast that only further proved that the writers, Superstars, and producers of SmackDown Live actually give a value with regards to producing a watchable wrestling show, as fun matches, great character moments and white promos were prevalent throughout the show. So, without any further delay lets delve into what WWE got right on the blue brand this week. 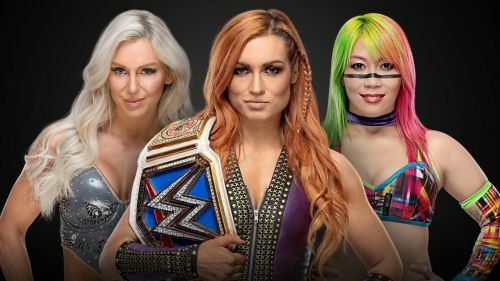 The first-ever women's TLC triple threat match is shaping up to be a match that fans will remember, as WWE actually crafted a narrative that is both entertaining and full of depth. Asuka, Becky Lynch, and Charlotte are three of the most talented wrestlers to ever set foot inside a wrestling ring in this era of women's wrestling, and at this stage in their careers, they are perfects rivals for one another. This week on Smackdown Live, WWE showed us that Becky is a superstar looking to continue her reign of dominance, Charlotte is starting to let her cockiness fill her ego as believes that she is the best, while Asuka is a superstar that has fallen from grace looking to get back atop the mountain. A perfect narrative with the perfect Superstars at the perfect time, this is proving why SmackDown's women's division produces the best feuds all year. These men are fanatics in the ring. Tag-Team wrestling in WWE is on a decline, as the creative team don't know how to creatively use stables, alliances, and tag teams anymore, that is why we end up with crap like Drake Maverick peeing on Bobby Roode's robe on RAW. But hope is not lost as on SmackDown Live, writers understand how to at the very least keep the audience entertained and invested, and this week in a triple threat match Cesaro, Xavier Woods and Jey Uso thrilled. While this had nothing to do with tag team wrestling, it was a nice tease for these competitors match at the TLC pay-per-view. Counters after counter, hard-hitting action, and fast-paced ring work made this match the most fun of the night, and this is what WWE should strive for, make every match fun at least, and not in a toilet humor way but entertaining in-ring action.